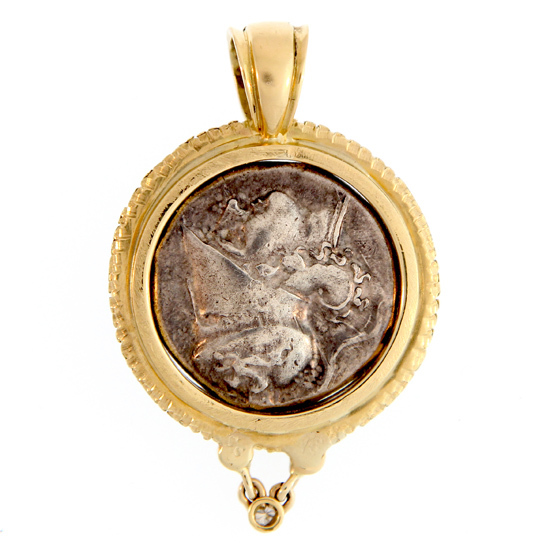 Ancient Greek Silver Stater coin pendant Circa 317 - 310 B.C. Obverse: Pegasus, with pointed wing, flying left. Reverse: Head of Athena right, wearing Corinthian helmet. Mint: Syracuse. Country: Greek City-State. 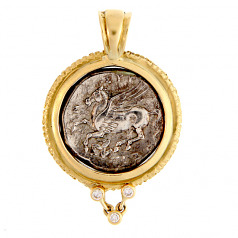 Framed in 18Kt Yellow Gold with .15TW Diamonds.